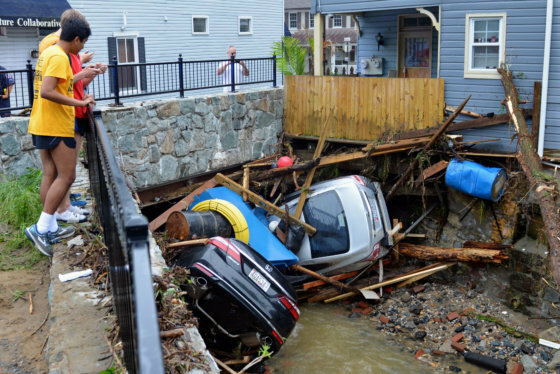 WASHINGTON — Howard County is planning to install a very loud alert system this summer to warn people on Main Street in Ellicott City when a dangerous flash flood seems imminent. The county is holding community meetings to gather feedback on the plan, and a session was held Monday night in Ellicott City to brief residents and answer questions. 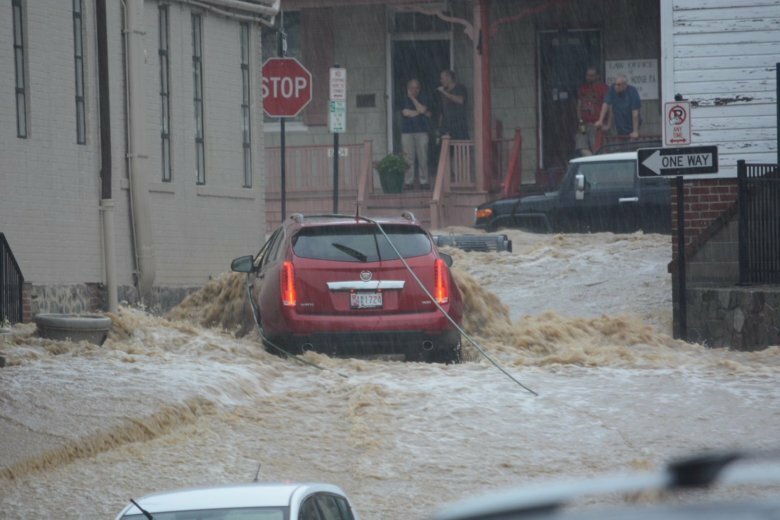 Two people died when heavy rains produced massive flooding on Main Street in July 2016. Then in May 2018, more heavy rain and another dangerous flood tore down Main Street again, killing one person. The National Weather Service provides alerts and warnings that can activate on smartphones. David Reyes, owner of Reyes Jewelry Exchange on Main Street, said the weather service warning was helpful to him at the start of last year’s flash flood, but he is skeptical a large audible alarm would be worthwhile. Others who work along Main Street also raised concern that a loud audible alert might send people scurrying into further harm, and others wondered about the benefits of an outdoor alarm. “Of course people should be alerted if there’s potential for a flood, but I don’t think that it’s going to be super helpful,” said Sarah Shoop, who tends bar at The Trolley Stop, a restaurant on Oella Ave.
“With the way things have happened the past two times, maybe that’s going to be a little too late,” she said. Some business owners said the best thing the county can do is to continue flood control engineering plans, including construction of floodwater retention facilities. “The solution is to fix these waterways here that the water passes through so at they handle the amount of water that we get pretty regularly … just a little bit more is all that it takes to destroy things,” Reyes said.